The Vivo Apex 2019 is a revolutionary smartphone that forgoes traditional norms by not having any ports, buttons or other openings whatsoever. Even the selfie-camera has been excluded. To replace the buttons, the phone uses Touch Sense technology that is capable of recognizing capacitive touch and sensing pressure. Furthermore, the speakers have been replaced with Body SoundCasting technology. As for the rest of the specs, we know that the Vivo Apex 2019 will run on a Qualcomm Snapdragon 855 SoC which has been paired with 12GB of RAM and 256GB/512GB of storage. 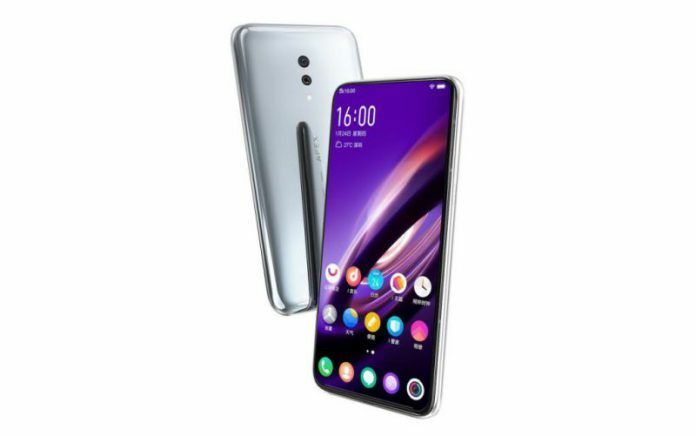 This will be the first smartphone from Vivo to offer 5G connectivity. Without any opening for a sim card tray, users will have to rely on eSIM for connectivity. While the exact size of the display isn’t known yet, it was disclosed that pretty much the entire screen is capable of scanning fingerprints. Also, charging can only take place using a MagPort located at the back of the device. The Vivo Apex 2019’s price is expected to be around Rs. 36,000 for its 12GB RAM + 256GB internal storage variant. The phone is expected to be available in only one color: White. The phone is due to be launched at this year’s Mobile World Congress (MWC) scheduled to take place in Barcelona at the end of February 2019. The idea behind the Vivo Apex 2019 is to have a smartphone with no openings at all. As such, the Apex 2019 is basically one large slab of glass that ends up letting go of pretty much everything you’d expect a traditional smartphone to have. This includes the 3.5mm headphone jack, charging port, speaker grills, SIM/microSD card trays, and even the volume/power buttons. Furthermore, in an attempt to keep the design of the phone as pristine as possible, Viva has also excluded the selfie camera (say goodbye to face unlock). 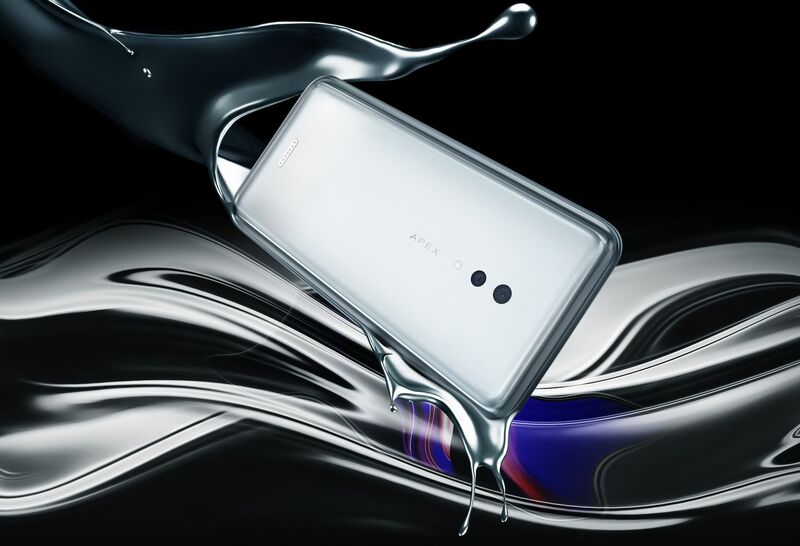 Perhaps the company wanted to retain the appeal of the Vivo NEX’s full-screen display and was unable to acquire the punch-hole display tech in time. The end product you get is something Vivo likes to call a “Curved-Surface Waterdrop Glass”. 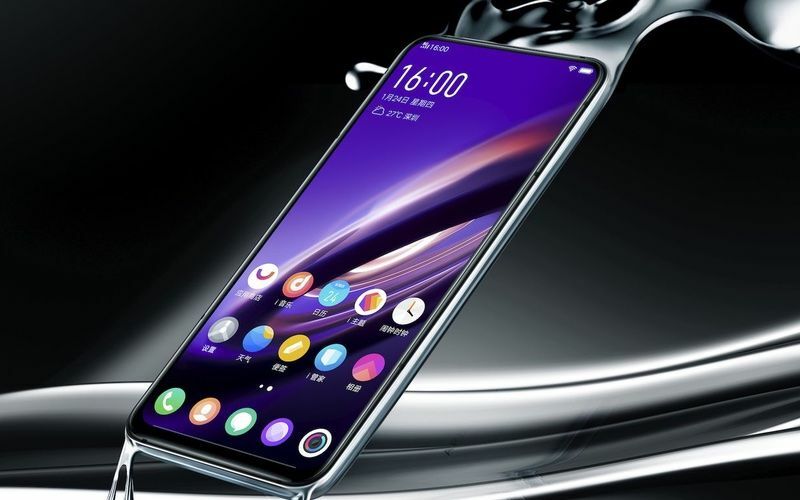 Not all the specifications of the Vivo Apex 2019 have been disclosed yet. We can see that the phone features dual-camera setup at its rear, but it is uncertain what their exact resolutions are. However, it was announced that the phone will come powered by a Qualcomm Snapdragon 855 chipset that will be backed by 12GB of RAM. Storage options will be comprised of 256GB and 512GB. Vivo also includes its Jovi AI Assistant on this phone, which is likely for its Chinese consumers. While the exact size of the display hasn’t been disclosed either, it does seem to be in the vicinity of 6-inches and boasts one of the thinnest bezel measurements we have seen thus far. It does stand to reason that this is an AMOLED screen considering it has been said to feature Full-Display Fingerprint Scanning technology. Vivo uses a Fingerprint Light feature that detects a hovering finger and lights up the pixels underneath to get a more accurate scan. These two aspects together allow the user to unlock the smartphone from pretty much anywhere on the display. The sensor also increases security on a per-app basis by only allowing access to certain apps when the user taps on it with a pre-registered finger. Another interesting technology the Apex 2019 uses includes Body SoundCasting that vibrates the display to produce sound. This is meant to be a replacement for the speaker grills. Meanwhile, the absence of physical buttons has been tackled by the use of pressure sensors around the body. Vivo’s Touch Sense functionality combines capacitive touch and pressure-sensing in a way similar to what we have seen with the HTC U11. This is also Vivo’s first smartphone that will feature support for 5G networks. The exclusion of a SIM card slot means you will need to register an eSIM to get access to this network. Furthermore, the absence of a charging port meant Vivo has to get more creative. The brand has used a MagPort located at the lower part of the phones rear panel. This port attaches to a compatible cable magnetically and can be used for both charging and data transfers.